Once you have been playing online poker for a while, you will surely be champing at the bit to learn some basics. Three important things to learn once you have mastered the basic rules of poker are counting outs, poker pot odds and the probabilities of attaining a rare and valuable hand. All of these three pillars of poker knowledge are related to understanding odds and probabilities in the game, and all of them are related to each other. We’ll start with counting outs, because this is the foundation upon which your understanding of poker pot odds will rest. ‘Outs’ are the cards remaining in the deck which are relevant to your hand. Counting outs thus means counting how many cards there are left in the deck that you can use to complete your hand. The number of outs will depend on what type of hand you are going to create. For instance, let’s say you want to make a flush hand by collecting together five cards of the same suit. Additionally, let’s say that you already have two hearts in your hand, so you are aiming to collect together five hearts. There are 13 cards in each suit, which means that there are 11 outs left (i.e. 11 hearts remaining in the deck for you to snap up). Let’s give just one more example. Perhaps you have landed yourself with the six of hearts and the six of clubs in your hand before the flop (i.e. before the first round of betting) and so you wish to get ‘four of a kind’. There are two other cards with the value of six in the deck: the six of diamonds and the six of spades. Thus, your outs value is 2: you have 2 outs. Counting outs should come with the proviso that some of your outs may be held in your fellow players’ hands. The higher the number of outs that you have, the more likely it is that you will be able to create the hand that you desire. Drawing together the two examples in this paragraph, for instance, we can see that it is more probable that you will be able to create a flush of hearts rather than a ‘three of a kind’ hand with four sixes. What are pot odds in poker? Pot odds is the term used to calculate the value of a ‘call’ at any point in a game of poker. The pot odds are the relative values of the poker pot (the money to be won) and the cost of making a call (i.e. the cost of placing a bet at any given moment). You will calculate the pot odds first of all by noting what your odds would usually be from a poker bet – for instance, 10:1. Then, look at how much your odds are in this particular game based on how your opponents are playing – let’s say 4:1. Compare those odds and it will help you to decide whether or not to call. In the example given, it’s a good idea to call as the odds are more in your favour than usual. Odds are similarly low for Four of a Kind (0.000240%) and other desirable hands. Being able to do a little maths will definitely help you on the poker table, particularly when it comes to probabilities. Bear the three considerations listed above in mind and they will help you to be a more savvy player. Previous Post:Is your poker set mining strategy doing more damage than good? 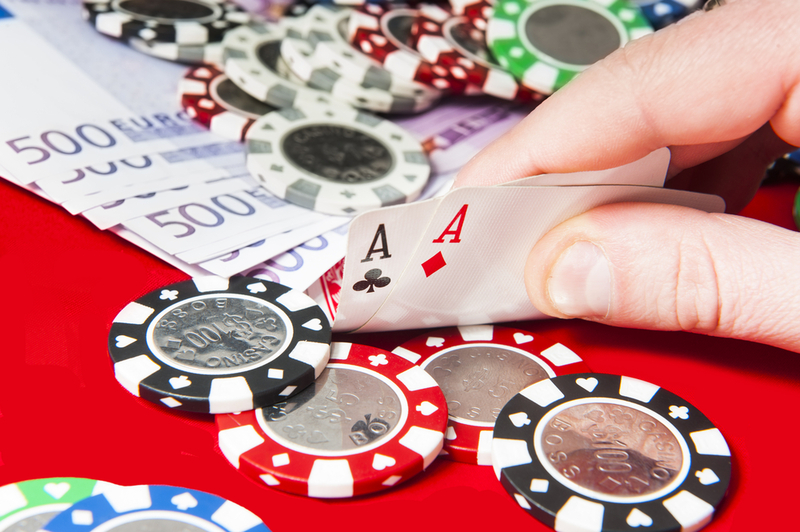 Next Post:What is the best strategy for successful online Poker tournaments?